A new addition to the Vision series from Future Plants, broadly upright and strong growth habit with dense 'flame like' cream to blush pink plumes. 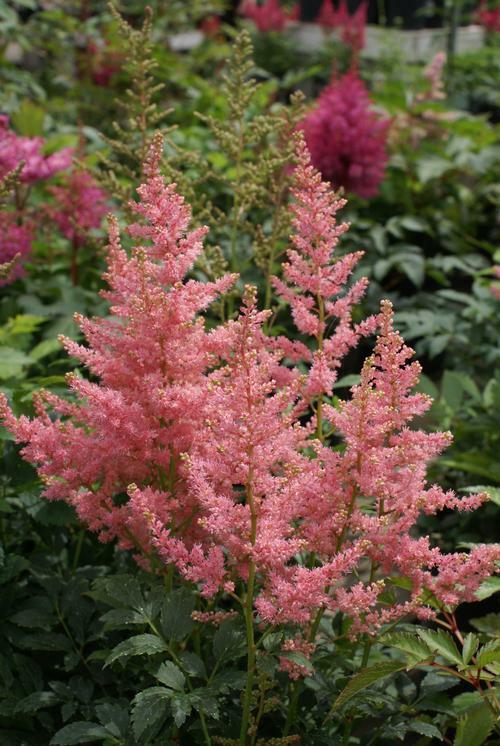 Mid, dark green foliage with exceptionally full and fluffy bright salmon-pink plumes. 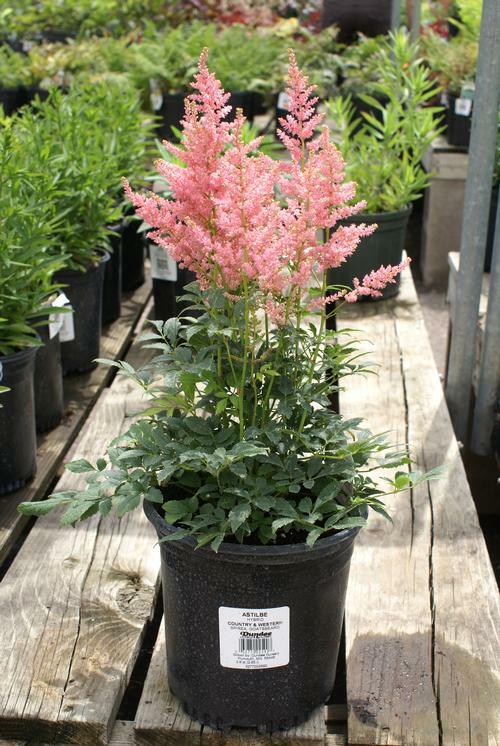 New hybrid astilbe that have been selected for attractive foliage and increased flower production. 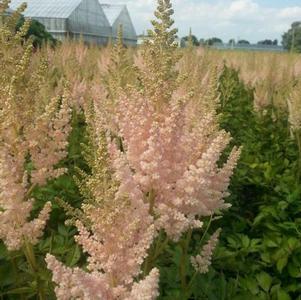 These astilbe produce twice as many flowering eyes and more secondary flowers as the old standards. Their compact nature combined with more flowers, as well as shorter and denser plumes, result in more attractive pots with greater sales appeal.